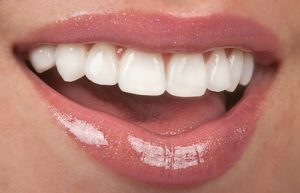 Porcelain veneers are a popular cosmetic dentistry solution for many reasons. They are aesthetically pleasing. Veneers look natural. They resist stains. They correct several problems at once. Above all, veneers are incredibly durable. Teeth endure a lot of force and do a great deal of work every single day. Veneers are able to hold up to years of chewing and biting. Even though veneers are made with incredibly thin dental porcelain, this material is sturdy, stable, and long-lasting. As a cosmetic dentistry treatment, porcelain veneers top the list in popularity and success rates. What Makes Veneers So Strong? The composition of porcelain veneers is what makes them so very strong. High-quality porcelain is used to make each veneer. Even though this material is glass-like in its construction, its stability has been proven. Veneers are very resistant to wear, fractures, and temperature changes. Even the hottest cup of coffee or the coldest milkshake will not shake the foundation of your veneers. Patients who receive porcelain veneers are not compromising on appearance either. You receive multiple benefits when you opt for porcelain veneers, which can be adjusted in shade and translucency so that they look as much like natural teeth as possible. The customization of veneers also means they are flattering to each and every wearer – this is not a one-size-fits-all solution. Porcelain veneers typically last for about 15 years, though many patients’ veneers last far longer if you take care of your teeth at home and keep up with preventive dental visits to your Manhattan cosmetic dentist. There are, of course, exceptions to every rule, and a car accident, fall, or collision could cause a break, crack, or other type of damage to your veneers. Sports injuries are often the culprit behind broken teeth and chipped veneers. Veneers are an in-demand cosmetic dentistry treatment because they are nearly a universal cosmetic dentistry solution. Any number of complaints can be repaired with veneers, from misalignment to teeth stains, gaps to cracked enamel, short teeth to crooked teeth. Veneers also do an amazing side job of supporting your smile and lips so that your teeth do not become weakened and your smile stays strong as you age. People who want their teeth and smile to look better quickly discover that they also look younger, healthier, happier, and smarter with a full set of gorgeous porcelain veneers. There is nothing special that needs to be done to take care of your porcelain veneers. However, you cannot assume that the veneers will take care of themselves. It is absolutely essential to floss daily and brush your teeth at least twice a day to remove plaque, bacteria, and food particles. You want to prevent decay from settling in anywhere in your mouth, especially underneath your veneers. A cavity under a porcelain veneer can compromise the integrity of your veneers and your oral health in general. Just like the strongest natural tooth, with the wrong kind of force or pressure, a veneer can be broken. However, veneers are so durable that breakage is not a common occurrence. Although they are incredibly thin, porcelain veneers are amazingly strong. Veneers are resistant to chips and cracks as well. Again, though, your personal habits will affect the longevity of your veneers. If you regularly use your teeth as a tool – opening a package or a bottle, for example – then it is absolutely possible that you could compromise the integrity of the veneers and damage them prematurely. Are Porcelain Veneers Considered a Smile Makeover? Yes! Porcelain veneers are absolutely considered a smile makeover. While it may seem like one cosmetic dentistry treatment does not a smile makeover make, porcelain veneers are so transformative that it will seem like multiple procedures had to have been done to give you such amazing smile results. Veneers are able to cover up unsightly stains, cloak any gaps or breaks or cracks that have been present for years, or eliminate short teeth and create a pleasing and even smile. Veneers are “the” smile makeover of choice for so many patients of Manhattan cosmetic dentist Dr. Michael J. Wei. The durability of the veneers makes them one of the strongest and longest-lasting smile makeovers possible. Dr. Wei exhibits great artistry in creating, applying, bonding, and shaping each patient’s porcelain veneers. If you want to learn more about Manhattan porcelain veneers, and whether or not you are a candidate for this amazing and life-changing smile makeover, contact our Manhattan cosmetic dentistry office to schedule your consultation.